This project experiments with interactive wallpaper that can be programmed to monitor its environment, control lighting and sound, and generally serve as a beautiful and unobtrusive way to enrich environments with computation. Run your hand across this wallpaper to turn on a lamp, play music, or send a message to a friend. 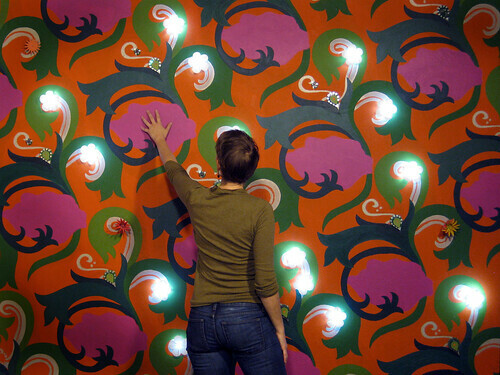 The wallpaper is flat, constructed entirely from paper and paint and can be paired with our paper computing kit whose pieces serve as sensors, lamps, network interfaces, and interactive decorations.